The SR-XM1 from Saramonic is your unobtrusive, go anywhere solution for adding a high-quality audio option to your existing Saramonic CaMixer, SmartMixer, LavMic, SmartRig+, UWMIC9, UWMIC10 & UWMIC15. Capture high quality audio with enhanced clarity and sensitivity without resulting to bulky, obtrusive microphones. The SR-XM1 is battery free, plugs directly into your Zoom or Tascam Recorder, SaramonicCaMixer, SmartMixer, LavMic, SmartRig+, UWMIC9, UWMIC10 & UWMIC15, or other , and is small and light enough to fit in your pocket. 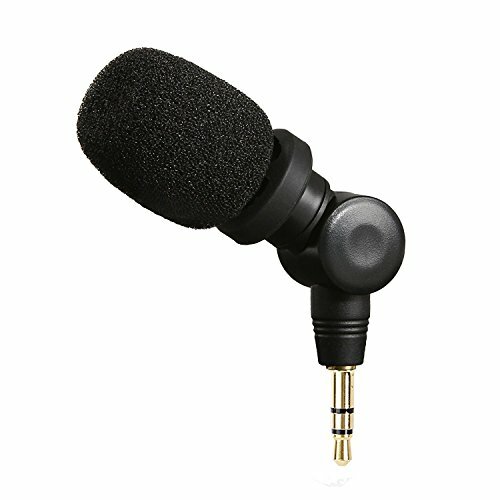 Weighing less than 1 ounce and featuring a flexible multi-directional head, the SR-XM1 is perfect for musicians, journalists or just on the spot recording!